FC Barcelona is back in the news in the United States following the opening of the new office in New York on September 6. Last week, CNN en Español dedicated its Triunfadores del Deporte show exclusively to the Catalan club. 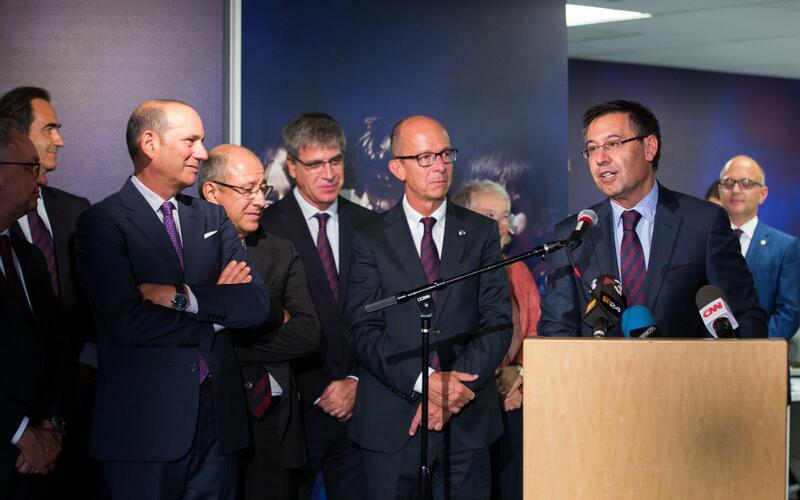 The broadcast included an interview with FC Barcelona president Josep Maria Bartomeu, who told American viewers about the club’s strategy for the US and other priority projects, such as FCB Universitas. FCB Universitas involves setting up a world leading centre for the generation, transmission, transfer and R&D of knowledge of sports-related science.